Alternative LED (ALED) – Not only does the LED in our name stand for next generation light emitting diode lighting that we offer, but it also represents what we provide: Lighting Energy, and Design solutions for commercial and industrial facilities. 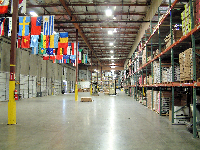 We are one of North Americas (US and Canada) leading suppliers of Industrial and Commercial Fluorescent lighting fixtures and controls, while delivering innovative, cost effective lighting and design solutions. A sample list of our companies using our products include: Boeing, Paccar (Kenworth) USA and Mexico, Office Depot, Trident Seafood’s, City of Seattle just to name a few. 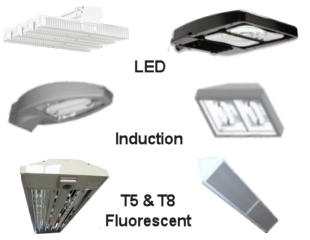 If you are seriously considering a lighting upgrade for your facility, we urge you to consider Alternative LED and discover why we should be your 1st choice in lighting. Call us 800 330 0828 (US/Can) or email to schedule a NO COST lighting audit of your facility to find out just how much $$$ you can save with a new technology lighting upgrade. We provide creative energy efficient lightng solutions for commercial and industrial facilities, we simply do not just sell lighting fixtures, we also provide our design services at no additional cost, (it is included with every lighting fixture quote we provide) unlike most lighting companies we look for all opportunities to save you money through creative design and diverse product offerings. Do you install the lighting? No we do not, we do what we do best; providing the right lighting design with the best technology (lighting fixtures). We will leave the installation part to your local electricians, however we will provide project support and management throughout the project. This also helps you keep the lighting project affordable allowing you the get multiple bids from several installers for the lowest installation cost. 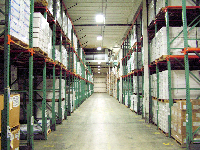 What is involved in the FREE Lighting Audit? If you are located in the NW United States or British Columbia Canada simply give us a call at (800) 330-0828 or email us. We will have one of our audit and design team contact you to set a time to visit you facility and do the audit. Depending on the size of your facility it usually takes about 1-4 hours. Once complete they will meet with our design team to determine the best practices for your lighting design. Then we will do energy comparisons between your existing lighting and the new lighting proposed bay ALED. Once that is complete we will deliver the finished report to you and your team. Again this is a NO COST no obligation audit and if you feel that our findings are reasonable to pursue a lighting upgrade all we ask is to consider ALED when you are ready to do your project. Controlling energy costs is key to bottom line profitability of any commercial or industrial facility. 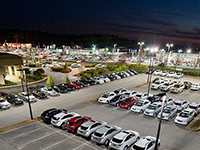 At ALED, our lighting professionals will guide you through the process of reducing your energy consumption. Untill recently there have not been any energy efficient opportunities for outdoor lighting, Our LED and Induction lighting offer amazing energy savings savings as well as up to 100,000 hour lamp life. 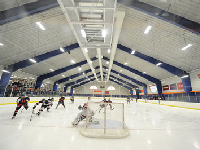 Alternative LED is one of the most experienced sports lighting design and specialty sports lighting fixture providers in both the US and Canada. Checkout our dedicated sports lighting website.